Everybody can easily say that they love chocolate. But there are also others who try to look for more when choosing chocolates. They don’t usually settle for the ordinary ones. 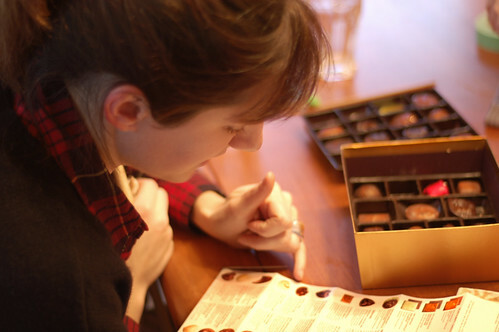 They look for chocolates that are better and offer a different experience not just limited to how chocolates taste. There are also people who look for the best chocolates among the rest. But how would one determine which chocolates are better, if not the best? In searching for the best chocolates in the world, one should have certain standards in mind. And when it comes to determining the best chocolates, none other than the French seems to have the upper hand. In fact, the French has a high regard for quality chocolates as well as all things gastronomic. Their government even has set certain standards for manufacturing chocolates that should be strictly followed. The French government has instituted certain regulations that every chocolate maker in France should follow. One of them is that it is prohibited to use vegetable or animal fat when making French chocolate. The makers should only use pure cocoa butter. When it comes to consistency, French chocolates should contain at least 43 percent cocoa liquor and with a minimum of 26 percent pure cocoa butter. In order not to fail on this aspect, most French chocolates usually contain well above the minimum cocoa liquor allowed by the French government. When it comes to high quality chocolates, ingredients also matter a lot. The flavor and quality of chocolates may also depend on the quality and origin of cocoa beans being used. The best cocoa beans usually come from South and Central American countries as well as Africa and the Caribbean. All these usually work together along with the extensive expertise and experience of chocolate artisans to come up with the very best chocolates in the world.